This smoked gouda cheese is imported from Holland and is perfect for sandwiches, specialty pizzas, or garnishing soups. 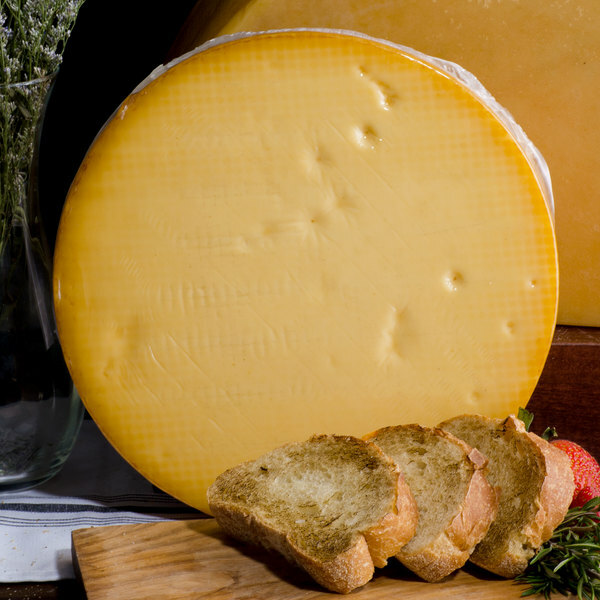 It's richer in dairy flavor than traditional gouda cheese, and has more of a buttery flavor due to its aging process. The touch of a smoky taste, achieved from being smoked over flaming hickory chip embers, creates a satisfying and savory cheese for use. The semi-hard and crumbly consistency of this artisan cheese can be cut into cubes, wedges, or sliced thin for a variety of applications. 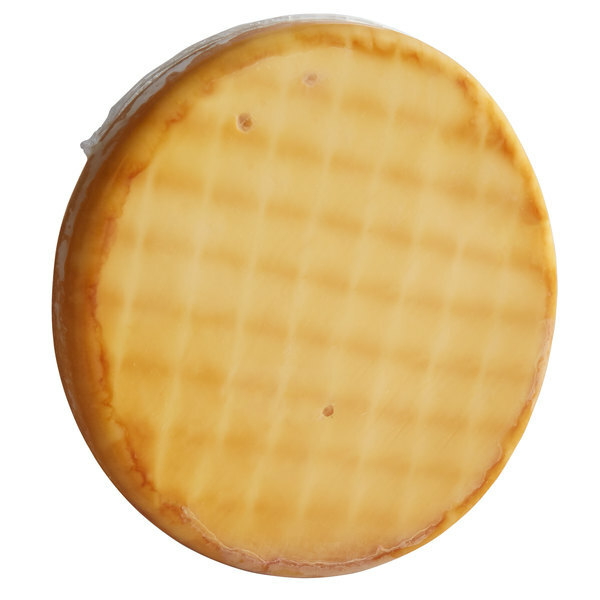 Furthermore, this gouda cheese with an edible brown rind is delicious for snack trays or appetizers, and pairs well with fruits, nuts, and chocolate. Plus, you can even build the perfect juicy burger by adding it on top with lettuce, tomatoes, onions, and specialty sauces to create a mouthwatering treat. Smoked gouda also pairs nicely with poultry, for example you can stuff chicken breast with the gouda and wrap it in bacon to create a sizzling and savory entree. Or serve guests this delicious smoked gouda cheese with a bottle of riesling or cabernet sauvignon to enhance the flavor. The options are endless with this crowd-pleasing, aged cheese first made by the Dutch in Holland. This smoked gouda cheese comes in a halved round to make sure that you never run low on this popular cheese. Additionally, it's sealed in durable plastic wrap to keep it fresh and protected during shipment. Regardless of whether you're filling out a charcuterie board or topping an award winning sandwich, this cheese is sure to be a crowd pleaser.